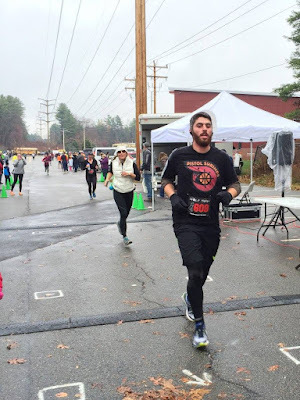 As I shivered in frigid November rain at the start line of the Wolf Hollow Half Marathon in Nashua, New Hampshire, I tried to remind myself, "You do this voluntarily. For fun. You paid someone money to have this experience." The task of running 13.1 miles in 37 degree piercing rain pellets sounded unappealing, even to me. 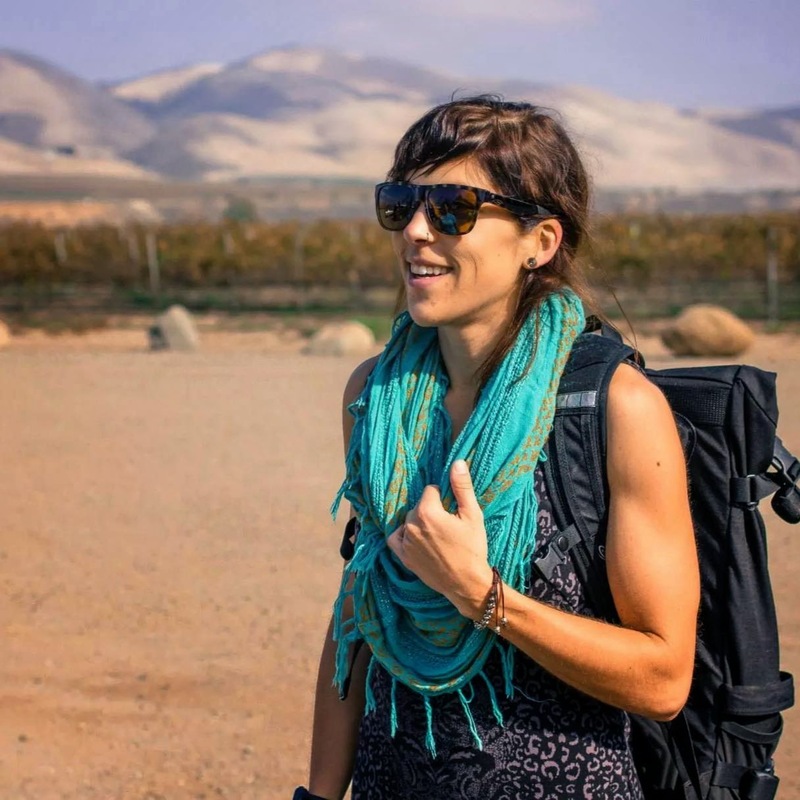 In spite of all this, the memory of a sting on my cheeks and the numbness in my toes pales in comparison to the memory of an idyllic wooded course and friendly, well-organized race. And the winning of a prize didn't hurt. Steph, who catalyzed my obsession with running by goading me into signing up for my first half marathon two years ago, has been patiently rehabbing a nagging ankle injury. Along with a few fellow running lovers, Steph and I signed up for this race to mark her progress and celebrate her birthday. We then coerced my begrudging (but increasingly speedy!) husband to relay the half marathon with her. The Wolf Hollow Half Marathon has been running through Mine Falls Park in Nashua, New Hampshire in late November for each of the past 4 years. 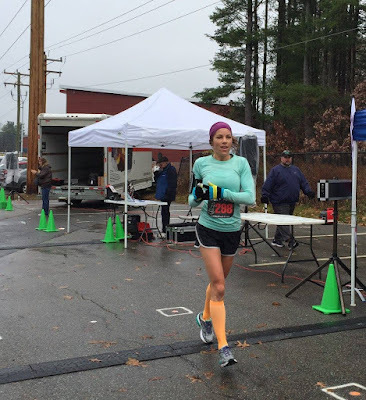 I haven't the slightest idea how this race earned it's name, because it certainly doesn't take place near the Wolf Hollow reservation in Ipswich, MA (although I have, in fact, run a race at Wolf Hollow before). Proceeds from the race go to support the local YMCA, which, though a wonderful and important community resource, does not have anything to do with wolves. And, although the race did take place in a park in the woods, to my knowledge there were no wolves on or near the course. The race began at Stellos Stadium and wrapped around the local high school before looping twice through Mine Falls Park via a foot path along the canal. 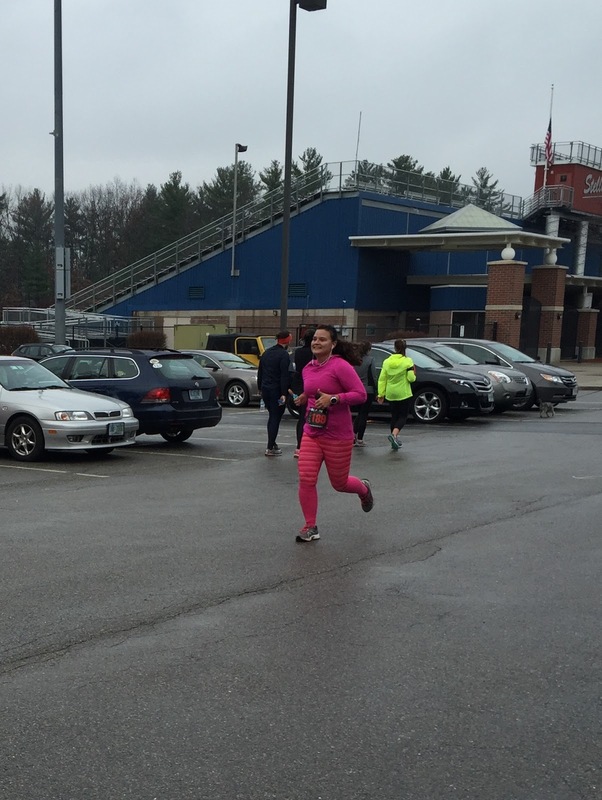 After the second loop, the course returned to finish in the stadium parking lot. The half marathon could be split into a two person relay, with a hand off at the end of the first loop. Even on a miserable, rainy day, the late fall beauty of this park was apparent. I enjoyed the wide, well maintained trails, and only felt unsure of my footing on a very few rocky or leaf covered sections. 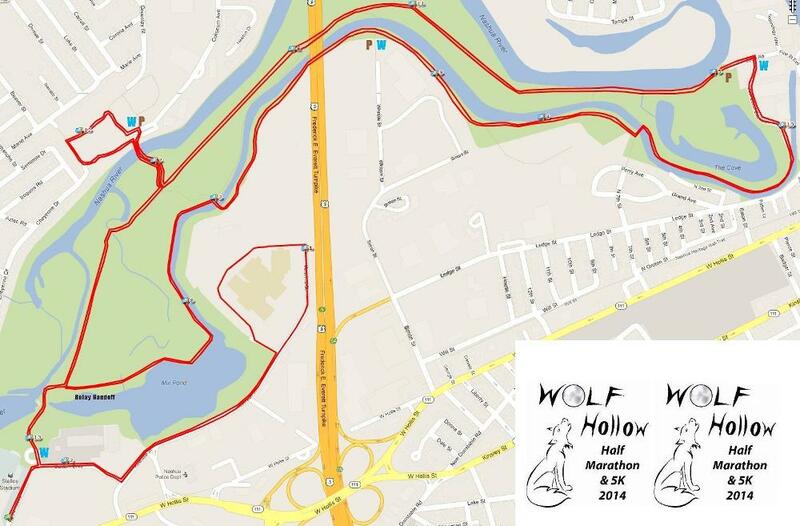 The course was mostly flat with a few hills toward the end of each wooded loop. There were 7 water stops offering both Gatorade and water and 6 port-a-potties on the course. We left Cambridge at dawn on race morning crossing our fingers that the weather would stay clear and dry. Our hopes were dashed as we crossed the New Hampshire border and rain pelleted our windshield. While Chris filled up our gas tank, I dashed into the gas station convenience store and purchased a hot coffee and a $1.99 pair of gloves in attempt to keep my belly and hands warm. We parked outside the YMCA about 1/3 mile from the race start and I contemplated wearing my warm down vest and sweatpants until I got to the starting line. In what would ultimately be a much regretted decision, I opted to leave the warm things behind and strip down to my shorts and long sleeve shirt in case there was nowhere to stow items. We made a pit stop at the port-a-potty en route to pick up our bibs about 20 minutes before the 9 am start time. We found our last race companion, Auntie Cristina, along the way. Bib pickup was was uncrowded and within a few moments, I was hopping up and down, eager to start running just to ward off the chill. There were 512 half marathoners and 44 relay teams, so the start area felt busy but not crowded. No corrals were needed, and I nudged my way toward the front third of the pack. The director counted us down through a megaphone at just a few moments past 9 am. After a mildly disorienting dash out of the parking lot and onto the street I found myself jockeying for position amid a pack of 5 women. 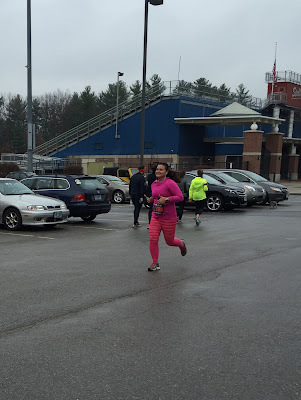 We looped around Nashua High School South. As we passed the first mile marker, I glanced down at my watch. Too fast to start. Time to ease in. I broke free from the pack just after the Mile 2 marker as we returned to the stadium and turned into Mine Falls Park and found my footing on the dirt trail. We crossed a bridge and hugged the canal, then crossed a second bridge before emerging in a parking lot behind what looked like warehouses. As I reached to take a cup of water from the outstretched hand of a volunteer, I discovered that my own hands were now claws, devoid of feeling and unresponsive to my commands to open and close. It was probably not helping my circulation to run with a grimace on my face, elbows tightly flexed and shoulders up around my ears. I cued myself to relax and spent a few minutes running with my hands flopping around by my sides, which helped to warm them enough to graduate from total absence of sensation to painful pinpricks but probably looked ridiculous. Down a hill and into the woods, we ran back toward the park entrance along the opposite side of the canal. Before completing the loop, we detoured off the main trail across a bridge and ran an amusing lap around a baseball diamond at Lincoln Park before cresting a small but challenging hill and crossing back over the intersection just inside the main gate. I can't remember exactly where, but there was a super dark tunnel/underpass that was both cool to run through and mildly unnerving. The relayers were stationed at mile 7.5, just after we half marathoners embarked on our second wooded loop. I spotted Chris among the shivering pack, awaiting his hand off from Steph. I always feel bolstered when I see someone I love along the race course, and I grinned and slapped him a big high five. The rest of the race was exactly identical to the first loop in the park, except this time I was starting to pay more attention to my surroundings and assessing my body to decide how hard to push to the end. My claw hands struggled with the tiny Ziploc containing my homemade date/coconut oil bites, and I tore at the bag with my teeth in frustration. Around mile 9 I began to leap frog with a few men, and appreciated that we pushed each other to keep pace. By mile 10 I knew the woman in front of me had enough of a lead that I wouldn't likely catch her, but I also couldn't see any women behind me. I was able to confirm this as we circled the baseball diamond park a second time. I pushed up the hill before turning back through the Main Gate and out of Mine Falls Park. Back on the pavement, we crossed straight through the parking lot and past the stadium to the finish. I glanced at the clock and felt a mix of satisfaction that I'd run a decent time without feeling terribly taxed and disappointment that I'd been too conservative and had finished with fuel left in the tank. Having completed her 7.5 mile leg of the relay long ago, Steph was waiting at the finish line. Becca crossed the line next, earning a massive 6+ minute half marathon PR with a time of 1:51:29. Steph and I greedily sipped the hot broth from a bowl of (vegetarian!) Armello's Famous Portuguese Kale Soup. I tried to shake life into my hands and wished I had my vest. We cheered Chris across the line at 1:57:29. He and Steph earned themselves a 7th place overall finish among the relay teams. In her triumphant return to the half marathon after suffering a gnarly collarbone fracture while being an absolute badass in Australian Rules Football, Cristina looked strong as ever at 2:28:04. My time of 1:35:40 was fast enough to earn me a 5th place overall finish among women and 1st place in my age group. My prize was a sweet pint glass, which I struggled to close my hand around. I really regretted not having pants on, so I walk/jogged back to the car, where we celebrated our return to warmth with chocolate caramels. I sincerely hope the owner of this shop is named "Ladie"
Back at home, Chris and I enjoyed some late afternoon relaxing couch/ice cream time. Enjoyed while reading this post. Nice one.